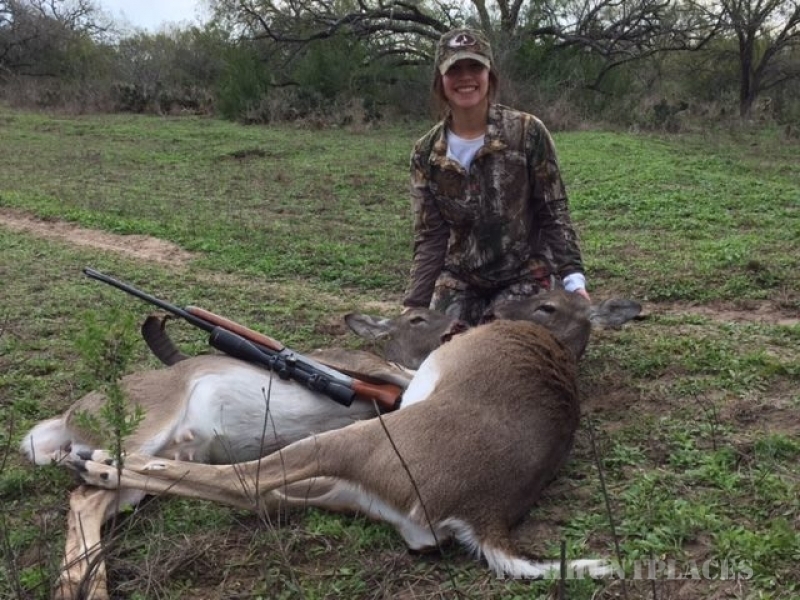 New Ranch Outfitters is located in the Northern end of the South Texas brush country in Whitsett, TX. The New Ranch is 3892 acres and is a 100% low fence, 100% fair chase operation. The ranch has been under strict game management since 2007. We are currently Level 3 of the MLD Program. We have approximately 300 acres of Atascosa river bottom. This river bottom serves as prime habitat for roosting Rio Grande turkeys as well as a haven for our trophy while tailed deer and hogs. We also supplement high-protein feed from March to September, while feeding corn year-round. We have ample watering locations for the abundant wildlife. In addition to this, we have added the 2800 acre Fannin Ranch to our operation. This ranch consists of coastal prairie and river bottom for a diverse style of hunting opportunities. This ranch is also Level 3 of the MLD Program.